A new scheme is to clean the air over the German capital by installing on-street charging infrastructure. With lamp post charging provider Ubitricity at the centre, the consortium is planning to add 1,600 public and private charge points to Berlin’s network beginning this year. 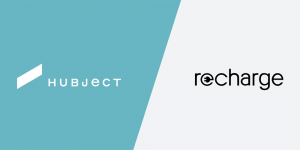 Hubject is cooperating with tech start-up ReCharge to enable EV drivers to access charging points in its network and to bill charging by simply plugging in the charging plug, thus, without having to use a RFID card or a smartphone app. 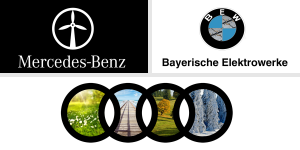 The two EV charging infrastructure specialists from Germany and China have entered a collaboration to connect their charging networks, opening the door for new customers from around the world. Europe’s Hubject has kicked off their business in the States. Their Santa Monica HQ is the new base from where to spread their interoperable charging platform intercharge. Hubject now have a presence on four continents. 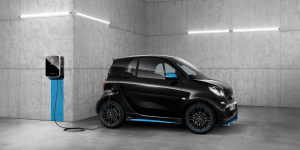 Daimler and Hubject have successfully completed the pilot test phase for their project Plug&Charge with charging station operator Ebee Smart Technologies. The new Smart EQ is also Daimlers first car that already is capable of using the system. The Alsatian E-Mobility startup Chargemap is cooperating with Hubject to move outside of France as well. As of the coming summer, EV drivers who use the Chargemap charging solution can use any intercharge charging station in the world. In partnership with Luxembourg-based Starhome Mach, Hubject has added automated billing to its B2B service marketplace. Intercharge BILLING allows charging station operators to allocate and settle transactions with various service providers worldwide. 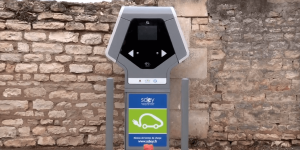 Hubject has entered into a cooperation with SPIE CityNetworks and ‘Syndicat Départemental d’Énergies’ of the district Yonne (SDEY) to integrate their EV charging offerings. SDEY’s and SPIE’s charging stations may now be used by anybody signed up to Hubject’s intercharge. CleanCharge Solutions ApS have set up a 150 kW quick charger in Copenhagen’s Nordhavn district together with By&Havn. The station is located in a parking garage and part of Hubject’s Intercharge roaming network. Hubject Inc., a U.S. subsidy of German roaming joint venture Hubject created back in autumn, teams up with Volta Charging. It is the first cooperation it set up in the States. The first four fast-chargers of the EU project Ultra-E are now in operation in Kleinostheim, Germany, close to the highway A3 (exit “Aschaffenburg West”). The finalisation comes just one month after Smatrics and Allego announced the installation of these stations. 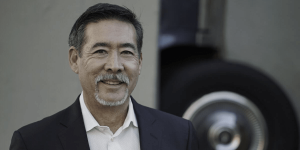 Infrastructure provider Hubject continues its expansion in the States and has chosen Paul Glenney to lead it’s U.S. business. 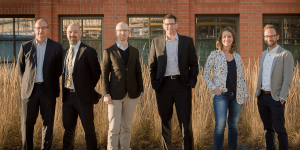 Glenney has 15 years experiences in the cleantech world. Tesla, Hubject, Los Angeles, Q-Park. Dual charge port by Tesla: The Californians have unveiled a dual connector charge port system to support more than one charging standard on the Model S and X. In Europe and China, Tesla usually uses the Mennekes plug (Type 2) but has now added the second charge port featuring China’s new GB standard. This points to a CCS plug coming to Europe soon, given Tesla reacts to the standardization efforts that have been undertaken in a similar fashion and the EV maker had joined CharIn last year. EV sharing in LA: Los Angeles got its first all-electric car-sharing service using Tesla Model X thanks to Green Commuter. The operator leases EVs to vanpoolers during commuting hours and to car-share users or companies for fleet replacement the rest of the time. The Model X are available to the public through the Green Commuter app. Reserve a place to charge and park cheaper is the offer Q-Park is flagging to members of the UK’s Polar charging network. The 20 percent discount applies on parking in city centres across the UK and Ireland when drivers pre-book online. Meanwhile, Polar has just installed its 300th unit on the Isles, according to operator Chargemaster. Siemens, ChargePoint, Hubject, StreetScooter, UPS, Mitsubishi. Siemens is ChargePoint’s new old big buddy as the German corporation joined the latest round of funding led by Daimler. The infrastructure provider thus managed to gather another 43m dollars, closing the total Series G round at 125m dollars. Siemens has got its very own stake in ChargePoint as it supplies DC charging technology and has been invested since 2010. 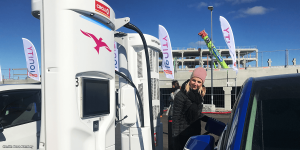 Hubject in Croatia: Hrvatski Telekom agreed to cooperate with Hubject, meaning all intercharge users may access charging opportunities in Croatia. Hubject now includes more than 55,000 charge points. StreetScooter goes Berlin: 40 electric delivery vans and 160 charge points at 4 logistic bases are only the beginning for Deutsche Post DHL’s electrification in the German capital. 30 of the 40 homemade StreetScooters are the new large version Work L, which can hold twice the volume of the usual van. 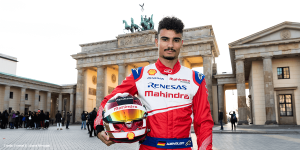 On top, the fleet is to gradually get more electric, “wherever it can as Berlin is not any odd location,” DHL board member Juergen Gerdes promised. 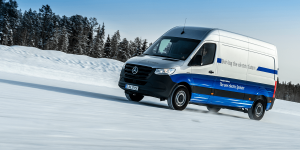 Estimates say the Berlin mail may come fully electric by 2025, at least an exact 156 charge points with 11 kW stand at the ready by now. 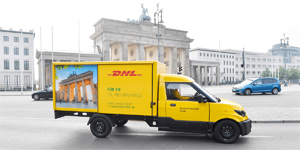 In total, DHL operates 3,000 StreetScooters in Germany to date and is currently gearing up to electrify 70 percent of its deliveries on the first and last mile by 2025. UPS is a little less ambitious than its competitor above as it set a target to have 25 percent of its new vehicle purchases be driven by alternative fuel by 2020. Five years later, UPS wants 40 percent of its fleet to be gas and diesel free. Leading by example: The Philippine Department of Environment and Natural Resources (DENR) took charge of five Mitsubishi Outlander PHEVs and five i-MiEV along with four quick charger units. They are part of a study and Mitsu hopes to reach more government agencies as well. Hubject, CSULB, Tesla, SunShare, Greenstorm Mobility. Green charging across Europe: Hubject and the South Pole Group have developed a certification allowing EV drivers (in terms of figures) to always charge renewable energy. With “intercharge green,” charge point operators will be able to offer 100 percent green energy at any public charging station in Europe. Mega solar carport: The California State University, Long Beach, is setting up a solar carport with a total capacity of 4.8 MW. It will be completed by the end of 2017 and will then cover 15 percent of the University’s energy needs. Moreover, it will be fitted with 50 EV charging stations that will also use the solar energy. 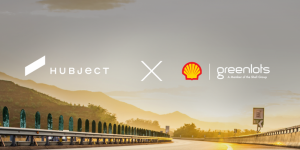 Tesla announced partnership for flagship store: The carmaker is working with Shinsegae, South Korea’s largest retailer, to open the first Tesla showroom as well as install chargers at 25 or the retailer’s locations. Tesla only expanded to the South Korean market a little over a week ago. EV rebates: Through the programme SunShare, any home owner in the San Francisco Bay Area and Sacramento can get solar panels at a discounted rate. For the first time, the scheme now also drops the price for the Nissan Leaf and Toyota Mirai, as well as other Zero Emission Vehicles. Trade hotel bed for Tesla: The Tirol-based start-up Greenstorm Mobility has come up with an emobility scheme to fill empty hotel beds. The idea is that hotels can offer vouchers and can in return use electric bikes or cars for a certain period of time. 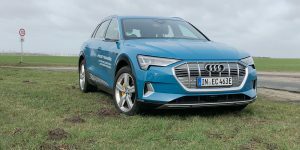 Some 40 EVs such as Teslas and BMWs, as well as more than 1,000 e-bikes are already part of the fleet. Hubject, Ontario, Austria, Madrid, Fortum, Chargemaster. Do you have reservation? Berlin-based consortium Hubject now offers a reservation system for charging stations that EV drivers to reserve a plug via their smartphone at many stations across Europe. Just how that “reservation” will be manifested at the charger was not announced. Moreover, using the Hubject roaming platform, BMW drivers in Japan can now plug in at the Japanese Charge Network (JNC). Ontario plans energy turnaround: The Canadian The Globe and Mail published a first outline of the province’s climate change plan, for which 7bn Canadian dollars have been earmarked for the next four years. 285m will be spend on a buyer’s premium for electric cars and charging infrastructure. The goal is that by 2020, five percent of Ontario’s vehicle are electric. 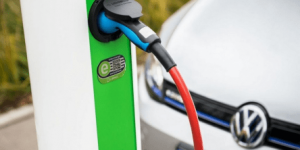 Incentives for company EVs: The Austrian Energy Department earmarked 7.5m euros for a second incentive scheme aimed at electric company cars and charging infrastructure. EVs for company use will be subsidised with 3,000 euros, while EVs for taxi or carsharing firms can be funded with up to 4,500 euros. Charging stations qualify for up to 10,000 euros. 110 e-Taxis for Madrid: Taxi company La Ciudad del Taxi has ordered no less than 110 Nissan Leaf with a 30 kWh battery pack. According to Nissan, it is the largest delivery of electric taxis worldwide. Fortum partners with Swedish Jönköping Energi and will install 30 public EV charging stations in the city of Jönköping this autumn. It will link the city to the Charge & Drive Nordic that encompasses more than 600 chargers. Nissan partners with Chargemaster, which is now the official charge point supplier for Nissan UK. Owners of an electric Nissan Leaf or e-NW200 can get a 3 kW or 7kW Chargemaster Homecharger, which qualifies for a 500 pound OLEV grant. Double-decker, Tata Motors, Hubject, Air New Zealand, ClipperCreek. Electric double-decker launch: London now has its first electric double-decker bus. Built by BYD, the model will be joined by another four to serve on two routes in the British capital. It can travel 306 km carrying 81 passengers and needs 4 hours to recharge at the depot overnight. If all works well, the vehicle could potentially prove a “great solution for a large part” of the London bus fleet, TfL said. Hybrid buses for Mumbai: Tata Motors bags a contract for the delivery of 25 hybrid buses for the Mumbai Metropolitan Region Development Authority (MMRDA). The buses are expected to run fully electric for 30 to 35 percent of the operations in India. Network within a network: Hubject introduces its eHub solution together with Swisscom. It enables businesses, associations and project syndicates to operate their own charging networks within the intercharge framework. Solution would thus become integrated instead of isolated. Airline electrifies: Air New Zealand purchases 36 BMW i3, 28 Renault Kangoo Z.E. and 12 Mitsubishi Outlander PHEV for its ground operations. By the end of this year, all 76 vehicles shall be in service with EV charging infrastructure already being set up. Fast-charging: ClipperCreek presents its 5.8 kW fast-charging station. The LCS-30 is for Level 2 charging and comes for both plug-in and hardwired installations that cost 515 and 499 dollars. Hubject, Flinkster Connect, Clever, Esslingen, Avista. Digital ICEing prevention: Hubject has come up with a solution that detects not only if whether a charger is free, but also if parking is available. The solution utilises sensors and works for any network operator and the German consortium has already successfully implemented a pilot project. Moreover, the digital system can detect whether the space is occupied by an EV or a combustion engine vehicle. Rail & EV with Deutsche Bahn: Germany’s rail operator is piloting an EV hire scheme in Berlin. For an additional 29 euros, DB travellers can use their train ticket to also hire an EV from DB’s carsharing scheme Flinkster, allowing door-to-door transport. Customers may keep the electric car for up to a week. Clever charging: Danish company Clever installed 200 EV charging stations last year. Over 750 rapid charging stations can now be found in Denmark, Sweden, and Germany and Clever plans to add another two each week throughout 2016. In addition, it plans to upgrade its 50 kW chargers to 150 kW. Electric buses in Swabia: The town of Esslingen operates four electric buses. The trolleys by Solaris are able to run with as well as without a wire and were co-funded by the German federal state of Baden-Wuerttemberg with 600,000 euros. 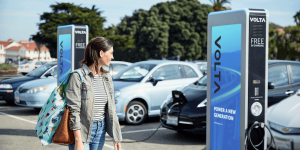 265 EV charging stations will be installed during for a pilot scheme in Washington State by company Avista. The trial will run over two years, with charge spots being installed in homes, workplaces and public locations. The utility hopes for over 3m dollars for the EVSE scheme that would start this May – if approved. Hubject, ABB & Microsoft, PG&E, Fortum & Renault, Leviton. 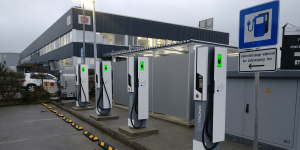 European charge network grows: Hubject has extended its Intercharge network to include a few hundred stations of partners in Norway, Finland, Sweden, Denmark, France and Switzerland. 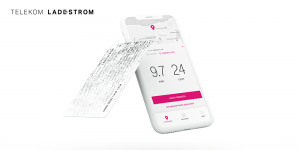 New partners are Fortum, Gronn Kontrakt, Virta, Clean Charge, Swisscom, ESB, and Freshmile. 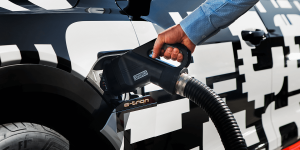 Charging cloud: ABB and Microsoft jointly launched a new platform for EV fast-charging. 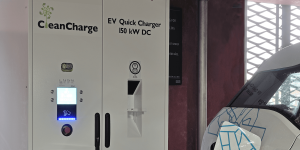 It combines ABB’s EV charging stations with Microsoft’s Azure cloud-based services that include machine-learning and predictive analytic capabilities. The platform is presented at eCarTec. 7,500 EV chargers in California is the revised plan of Pacific Gas and Electric as its initial idea to erect 25,000 EV charging stations in the Golden state had been rejected by the California Public Utilities Commission (we reported).The plan still sees opposition by private infrastructure providers. EV chargers in Lapland: The Fortum Charge & Drive network will be expanded with seven new charging stations in northern Lapland in Finland. The 22 kW semi-fast chargers are erected in cooperation with Renault and are located close to the border with Norway. Home charging: Leviton presented the Evr-Green Mini Level 2 EV charging station. Very compact, the station comes standard with a 12-foot and optional 18-foot cable, and works with 30 amp circuits. 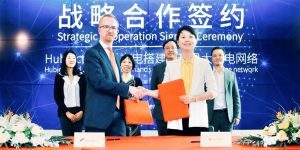 BAIC & Foxconn, Hubject, LangstreckE, Glasgow, SUNY. Electric car sharing in China: BAIC Motor and Foxconn have started an electric car sharing service in Beijing. It starts with 1,000 units of the BAIC E150EV and is to be followed by Tesla´s Model S, the BYD e6 and Zinoro 1E at a later date. Maybe even a Foxconn EV will join the rental service in the future as the electronics company had revealed plans to enter the electric car market with an EV below the 15,000-dollar-mark (we reported). 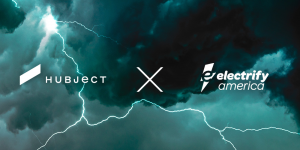 New Hubject features: The Berlin-based joint venture will present its newly developed NFC access solution for charging stations operating within the intercharge network together with direct payments via credit card at the E-world energy & water trade fair in Essen, Germany this week. Long-range commuting: Another project of Germany’s showcase regions has delivered results. The ‘LangstreckE’ (long range) project, undertaken by BMW, Chemnitz Technical University, and the city of Leipzig, saw 75 commuters using 15 BMW ActiveE over three months each. All users were able to cover most of their drives (91 percent) with the electric cars. Go green, Glasgow: The Scottish city has now approved a ten-year transport strategy that also includes a “Low Emission Zone” feasibility study. Furthermore, Glasgow council plans to expand its current network of 64 EV charge points, adding another eight by March 2015 and expanding further in future. Campus charging: The State University of New York (SUNY) has installed six EV charging stations at the New Paltz campus. 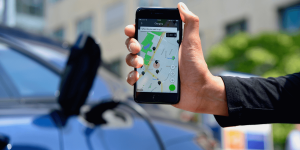 The charge points are to be used by students, visitors, and staff, who will pay one dollar per hour for the first four hours, and five dollars per hour thereafter. Electric mobility in 2015: It has been said that there are more events about electric mobility than there are electric cars on the road. And the same seems to be true for 2015. In our calendar section, we have listed the most important trade shows, conferences, workshops, driving events and seminars for you. California, Sonoma County, Laos, Enel, Ogilvie. Six pro EV bills in a row have just been signed by California’s governor Jerry Brown. Electric vehicles now get free or cheaper access to newly introduced high-occupancy toll (HOT) lanes, while more HOV stickers for plug-in hybrids have been made available. Low-income communities were promised easier access to EVs while renters now got the right to install chargers at their temporary homes. Tribal EVs: The Kashia tribe of Sonoma County, California, purchased two Toyota RAV4 EVs and two plug-in hybrid Ford C-Max Energis. The EVs serve Kashia’s Department of Environmental Planning. Additionally, six charging stations will be installed in both remote and urban areas. Mitsubishi in Laos: Mitsubishi’s importer in Lao just recently donated two i-MiEV to the Southeast Asian country’s government. The gesture is part of the Japanese company’s expansion into new markets. In Lao, hopes lie on green electricity generated through the country’s large rivers. 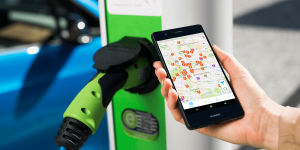 Hubject goes south: The Berlin-based IT platform operator for charging infrastructure expands its European network once more by signing an agreement with Enel. The latter operates about 1,600 EV charge points in Italy and Spain which will become part of the eRoaming framework that now allows charging at 5,000 stations. Tesla to lease: British Ogilvie Fleet took delivery of two Model S that came together with two charge points at the company’s Stirling head quarters. The Teslas are available to the directors, staff as well as customers of the leasing company. Fushun City, California, Madrid, SAP, Hubject & Swisscom. Bus bulk order: Fushun City in the Chinese province Liaoning has ordered 600 diesel-hybrid buses from Zhengzhou Yutong Bus Company. The hybrid technology comes from Guangxi Yuchai Machinery Company Limited (GYMCL). Fushun serves as a pilot city for new-energy buses in China. Green generosity: California has expanded its green sticker programme from 40,000 to 55,000 badges. This means more partially electric vehicles will get the opportunity to use the HOV lanes, among them BMW i3 drivers with range extender. Rent a pedelec: Madrid has launched a rental service for electric bicycles. 1,600 e-bikes can now be rented 24 hours, Euronews reports. The Spanish capital is following the lead of Zaragoza where the system has been running with 1,300 pedelecs for six years already. SAP electrifies: The software giant is running its E-Fleet programme designed to electrify 20% of its fleet by 2020. Electric car No. 10 has just been introduced with 50 more to follow until the end of this year. At the same time, SAP inaugurated its 50th charging station at its headquarter in Walldorf, Germany. Hubject goes Switzerland as it has just signed up another partner to apply its expertise to its intercharge network. 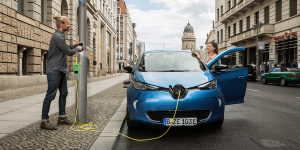 Swisscom Managed Mobility will help to promote interconnectivity and the use of electric vehicle charging stations in Switzerland.